We are looking for a Restaurant General Manager to join our team and open the first KINTON RAMEN restaurant in the United States. As a dynamic leader, you a will guide a team of talented and energetic Managers and Staff Members to ensure we are Serving People Happiness. <br><br>What you'll do: <br><br>Recruit, interview and hire talent into our restaurant.<br><br>Train, develop, and mentor our team. <br><br>Use your career experience and talents to help the restaurant reach its financial goals through skillful management in the areas of labor, food cost and inventory control.<br><br>Manage the workflow in a fast paced environment ensuring high guest satisfaction.<br><br>What we're looking for: <br><br>3+ years of experience as a General Manager in a moderate to high volume restaurant<br><br>You're a pro at increasing sales while managing food and labor costs.<br><br>You are an inspiring leader with great communication and organizational skills<br><br>You have the ability to work 10 hour-plus shifts, plus the ability to stand, sit, squat or walk for extended periods of time.<br><br>As a plus, you have a culinary background and a working knowledge of Japanese cuisine<br><br>About Us: KINTON RAMEN was one of the first authentic Japanese ramen bars in Toronto. Focusing deeply on the ramen in the kitchen, executive chef Aki Urata is uncompromising in his pursuit to serve the best quality noodles and broth. Our chefs prepare each and every topping, using only the freshest and highest quality ingredients. At KINTON RAMEN we invite our guests to experience a variety of exceptional ramen bowls, right down to the last drop. 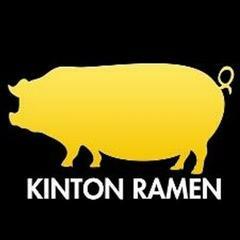 Kinton Ramen is posting their hospitality jobs on Harri.